Coming to Calvert Cliffs State Park, March 30th, 2019! The Miocene Epic Endurance Challenge offers a 6 or 9 hour format. 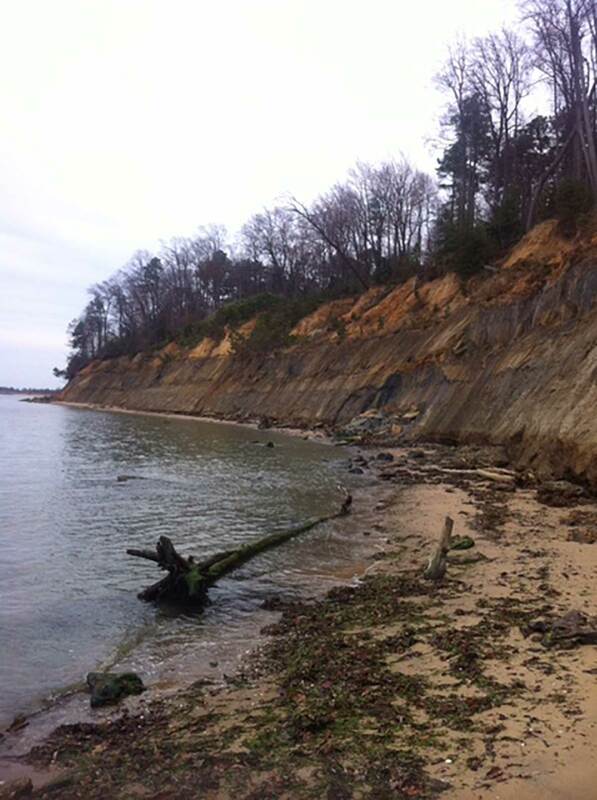 The course consists of a 5 mile loop through the beautiful Calvert Cliffs State Park in Lusby, Maryland. Runners can decide how many loops they want to run within the 6 or 9 hour time limit. Only full loops will count toward the runners final total mileage. 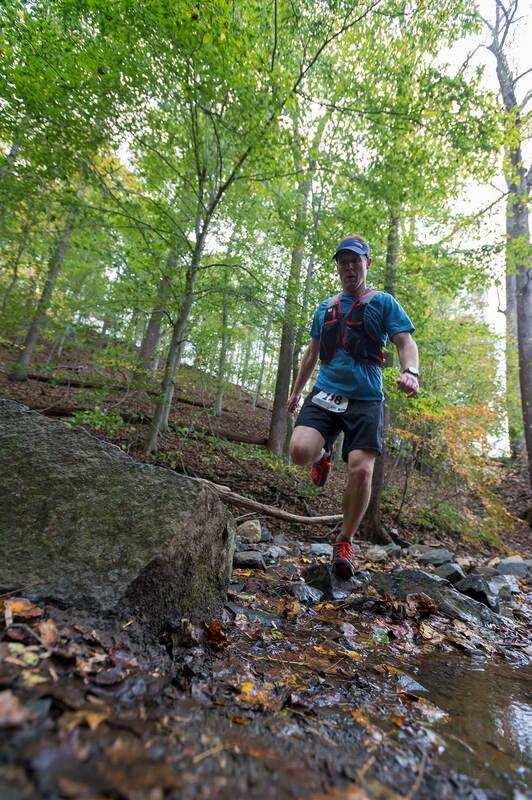 Course highlights include 5 miles of exclusive single track trail through beautiful state land, beach views of the Chesapeake Bay, the gorgeous Calvert Cliffs themselves, and much more! All runners will receive a Miocene Epic premium, fully stocked and supported aid station on each loop, post-race meal, beer, and more! There will also be special awards for mileage achievements in each event! Only fully completed loops will count toward each runners total. After the 5 hour mark (6 hour runners) and the 8 hour mark (9 hour runners) no new loops will be allowed to begin. Gates to Calvert Cliffs State Park open at sunrise (~7am). The start/finish area is the small pavilion located to the left of the pond, just downhill from the bathroom facility and adjacent to the playground area. Runners may bring as much gear to stage at the start/finish area as they wish, including coolers, chairs, blankets, etc. You will have access to these items each time you complete a loop. Pacers are not allowed at any time. Crews are allowed, but they may not venture out on the course with their runner and may only provide aid in the designated area near the start/finish pavilion. There is plenty of parking inside of Calvert Cliffs State Park. All parking spaces are just a few hundred yards from the start/finish area. Runners will pay the gate entry fee of $5 upon arriving at the park ($7 for non-Maryland residents). Event Refunds: If you must cancel your registration greater than 30 days before the event, you will receive your entry fee minus $20. Cancellation requests 30 days or less before the event will not receive any refund. If the event is cancelled for any reason, no refunds will be issued. Deferrals: We do not defer entries to the following year or to any other event we manage. Registration is NOW OPEN on UltraSignup! Volunteers are needed! We will need volunteers for providing support at the pavilion aid station, course sweeping at the end of the event, and more! Register to volunteer here. The course runs generally in a clockwise direction beginning on the west/south side of the river. Runners will pass through the start/finish area at approximately mile 20 and will run the first 8.4 miles of the course again before turning on to the orange blazed Ridge Trail to head to the finish. Cumulative and section distances are approximate. From the start (Avalon pavilion 105), facing west head across the grassy field turning right onto the park road. Run down the road for about a quarter mile to the trailhead on the left. Turn on to the Ridge Trail at the sign. Start the first climb of the day up to the junction with Rockburn Branch trail. Turn left onto the purple blazed trail of the Rockburn Branch loop. Stay on purple going clockwise. There are no right hand turns on this section. Stay left. The loop comes back to the yellow blazed Morning Choice Trail. Turn left on Morning Choice. Stay left on yellow on good rolling single track. You will skirt the edge of a meadow and go back into the woods. Check out the old falling down house on the right. Back into a meadow. First creek crossing at the other side of the meadow. Continue on yellow to an unblazed trail on the left. This is a clockwise loop. The only right hand turn on this side of the river is a sharp hairpin at the turnaround for this loop. If you miss it you will run into a white “Private Property” sign. Turn around. This turn will be well marked with chalk on the trail. Continue back to yellow blazed trail, again staying to the left on an un-blazed trail. After ~0.25mi this trail will rejoin with Morning Choice. Stay on yellow Morning Choice until you reach a fork. Follow the left branch of the fork which will be blazed yellow also. At about 6.5 miles turn left onto another unblazed trail. You will stay on this trail, cross a private road and continue back on singletrack less than a mile to the Landing Road aid station. Downhill to the waterfall, good climbing to technical downhill. Continue past the Bloede Dam and Climb up to a nice lookout at Buzzard Rock. Leaving the aid station, take Blue Blazed Cascade Falls Trail left-most fork. Follow blue blazes and KEEP RIGHT at all other junctions with other parts of the Cascade Falls Trail until you reach the waterfall. Bear left and cross the stream on the rocks at the waterfall. In about 50 yards, take a sharp left turn and head up the steep climb following blue blazes. Climb for ~0.25mi and take a right onto the unmarked trail leading back down to the paved road. Go left on the pavement to the dam. Continue straight past the dam following the unmarked trail parallel to the river (note: this trail is not maintained) until it ends at Ilchester Rd. Go over the guardrail, turn right and make a quick right in about 50 yards across the “new” Swinging Bridge. Follow the paved Grist Mill trail for 0.25mi and make a left onto the yellow blazed Buzzards Rock trail. This section is a steep climb that crosses the Buzzards Rock lookout point. A short trail section will bring you out into a dirt parking lot where you reach the Hilltop Aid Station. Fun technical downhill, rock hopping through the creek to the train tunnel. Exit Hilltop following yellow blazes for several hundred yards. Take the red blazes Saw Mill Branch Trail on the left. Follow red blazes down to a creek. Take a sharp right to continue on red (you will see a sign that says ‘Foot Traffic Only’). DO NOT CROSS THE CREEK! Follow Saw Mill Branch, through several boulder hopping sections down to the tunnel then take a left on the blue blazed Forrest Glen Trail. DO NOT GO THROUGH THE TUNNEL! You will follow Forrest Glen for ~0.25mi and bear left on to the purple blazed Pigs Run trail. After crossing a meadow you will take a right and will now be on the white blazed Santee Branch trail. You will cross one paved road, but at the second paved road turn right. Run past the Hilton Area Entrance for ~100 yards and look for the unmarked trail on the right. Follow the unmarked trail until you reach the railroad tracks. Carefully cross the tracks and descend through the mill ruins to reach the paved Grist Mill Trail. Turn left and follow Grist Mill for ~0.50mi. When you cross the wooden bridge, take a sharp u-turn left and go through the tunnel. Stay left after crossing the creek and continue on the un-blazed trail. After a steep climb, turn right to continue on the un-marked trail until it reaches the white blazed Santee Branch Trail. Turn right on Santee Branch. You will cross a road and reach a gate. Shortly after the gate you will turn right on the red blazed Vinyard Springs Trail. Enjoy a fast section of single-track all the way back down to the valley. At the bottom, continue straight across the creek to the ‘Foot Traffic Only’ trail. After a steep climb, you will reach the power lines. Make a left onto the Santee Branch Trail (white blazes). Follow this trail to another creek crossing a a short climb to the orange blazed Bull Run Trail. Turn left on Bull Run trail and follow it until you reach a red gate on your left. You will cross a meadow and continue on a very narrow non-blazed trail with a few steep declines and climbs until you reach the aid station at Rolling Road. Leaving Rolling Road, you will follow the purple blazed Soapstone Trail to a creek crossing. Just after crossing the creek, you will pop out in a parking lot. Go straight across the parking lot and re-enter the Soapstone Trail on the opposite side (there is a large sign at the trail head). After completing this short section, you will emerge at a park road. Turn right on the park road heading toward the Lost Lake tunnel. After going through the tunnel, cross the park road and enjoy a short section of single track until you emerge again at a paved park road. Turn right, go over the bridge and the Pavilion will be on your right. Leaving the Pavilion, follow same directions as before in the beginning of the route, except this time it will be in the daylight. Downhill about a mile along the creek past the waterfall. Up and down on the ridge to a fast downhill finish. Leaving the aid station, take Blue Blazed Cascade Falls Trail left-most fork. Follow blue blazes and KEEP RIGHT at all other junctions with other parts of the Cascade Falls Trail until you reach the waterfall. This time, continue straight on to the orange blazed Ridge Trail. DO NOT CROSS THE WATERFALL CREEK A SECOND TIME! Follow Ridge Trail orange blazes until reaching a sharp downhill left to continue on orange which will be a steep, short downhill section. Follow and keep right on the gravel road until reaching the paved park road. Turn right on paved road for ~0.25 miles. Cross the ditch into the grassy field and the finish area. 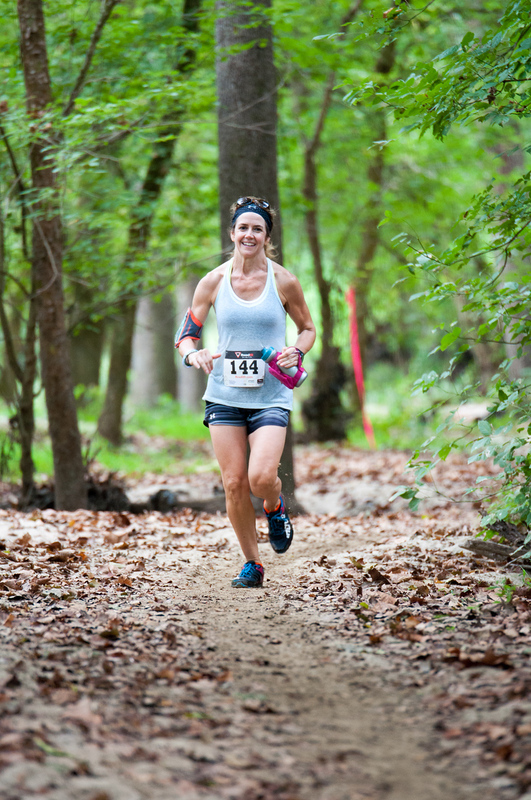 Take part in this amazing new trail endurance challenge in Calvert County, Maryland!